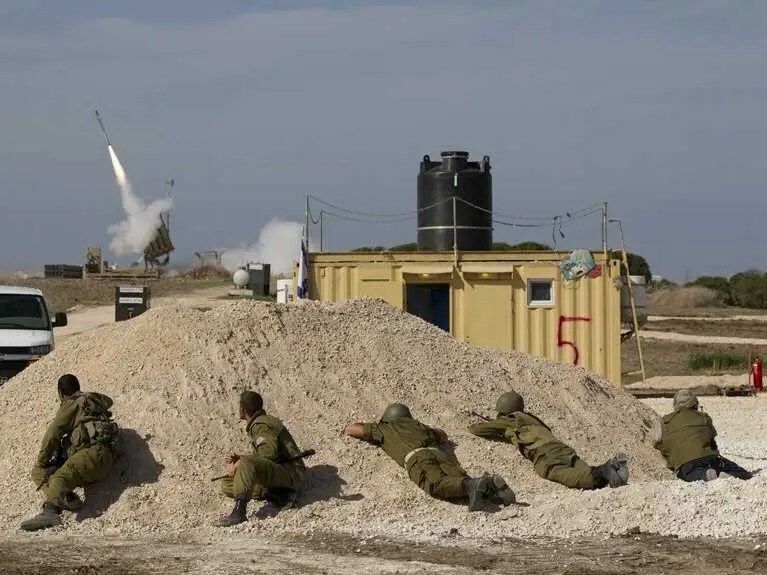 He’s just trying to throw a crumb of comfort to those who are frustrated by the performance of Iron Dome, among other Israeli defence systems. BBC is a joke these days anyway. Ms Sela, it seems our resident troll, “Nat”, is back, spamming see threads. Would you mind keep these pages clear of his drivel? As we all well know, if there is a crumb of negative comment to be gleaned (and sometimes created) regarding Israel and its institutions the Biased Broadcasting Corporation can be relied upon to write/comment on it often ad nauseam. As long as we do not take their contributors and their contributions too seriously then we can remain in touch with reality. 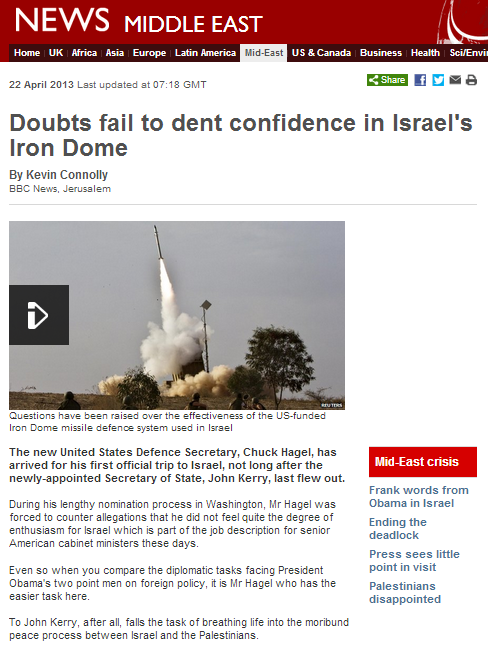 Until I read this post I had been at a complete loss to understand what benefit the anti-Israel types accrue from casting doubt on the effectiveness of Iron Dome, but now the phrase I quoted has explained it. 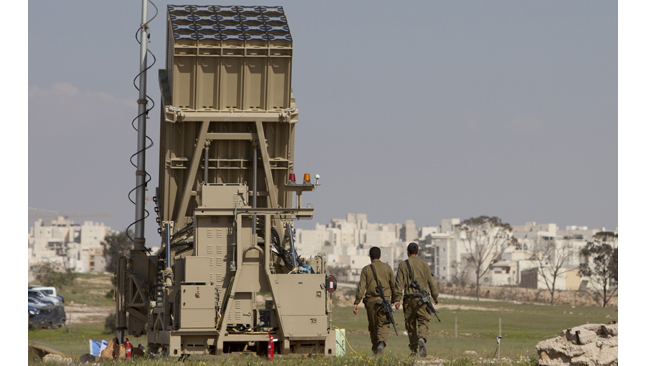 The trouble (from their point of view), is that Iron Dome is too effective, so they’re hoping to get the US to stop any more funding for it. Hadar, keep up the good work. Thanks. MICHAEL is now commenting for the first time on this post and one-finger salutes Nat on his feeble attempt at impersonation. As for MICHAEL’s comment, it’s very simply wishful thinking on Connolly’s part and that of (one better Mr. Doffman) Biased BS Confabulators. BTW, Nat is probably creating new accounts with different e-mail addresses to create sock puppets. Poetic justice would be that Nat’s computer gets overloaded by all the spam that he deserves to get. 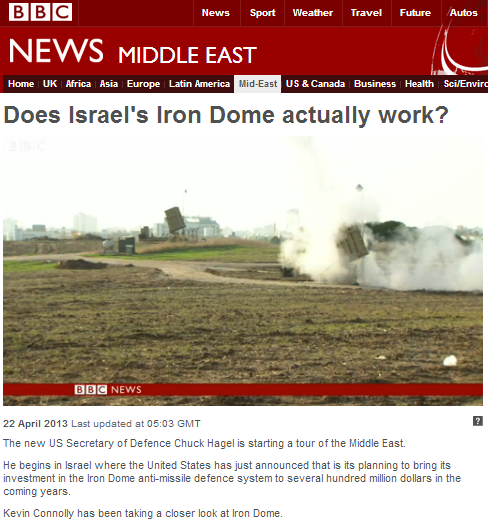 As in many things in life, ‘follow the money’, seems to be why the BBC and anyone else not well disposed towards Israel, would seek to play down the effectiveness of Iron Dome. cba has nailed it in one and as he says, keep up the good work Hadar. 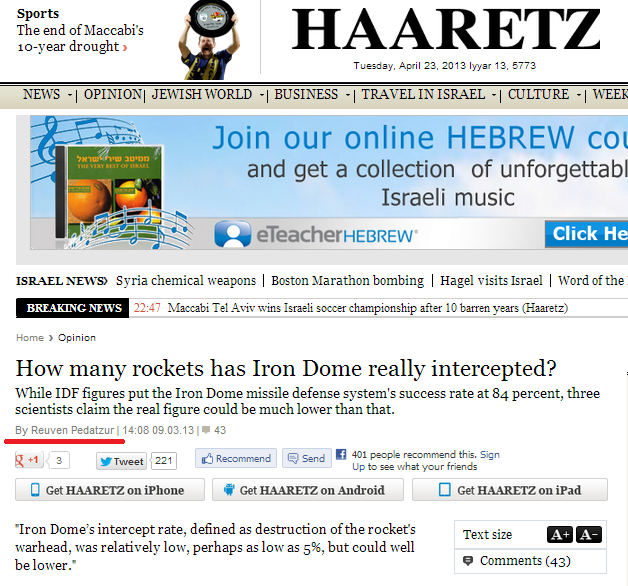 It is so frustrating for those journalist and some trolls who visit here, that Iron Dome actually work. They try anything to ease this frustration. Thanks for writing this excellent blog and keep up the good work!